A Guy Thing - 16-18 June will be a good show to choose the stuff that boys and men like. It will also be a great opportunity to buy stuff for Father's Day to be celebrated on 18 June. 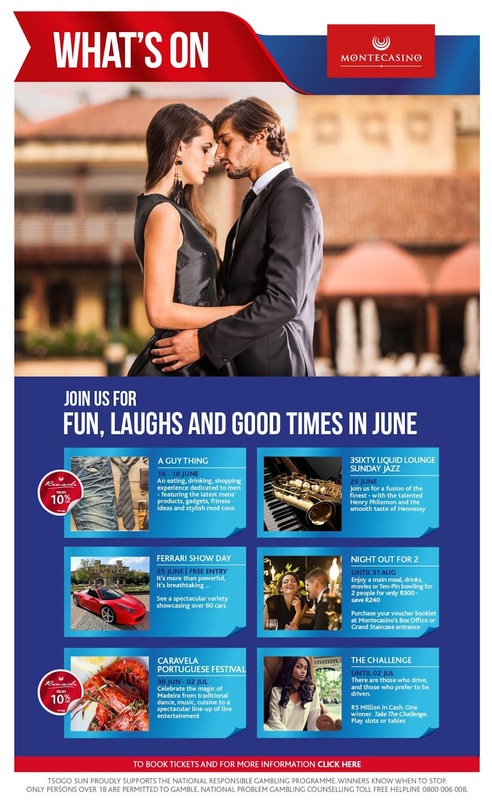 Ferrari Day on 25th June will be a great day to visit Montecasino as you can see more than 60 cars on display along with free entry to the grand affair. Follow MontecasinoZA on twitter. If you like Portuguese food then Caravela Portuguese Festival from 30th June to 2nd July will be a must visit event at Montecasino.